See our departmental awards for undergraduates, graduate students, service to our teaching labs and tutoring program, outstanding teaching, and distinguished alumni. 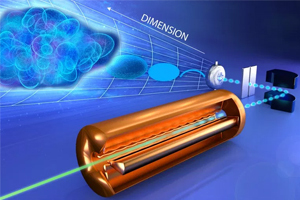 A team of researchers led by UT faculty and students made the first-ever 6D measurement of an accelerator beam, an achievement that has eluded scientists for decades. Professor Yuri Efremenko played a key leadership role in the COHERENT collaboration’s work to build the world’s smallest neutrino detector. Assistant Professor Andrew Steiner’s work figured into the LIGO collaboration announcement that they had detected both light and gravitational waves. 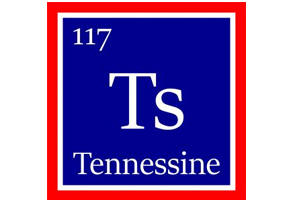 Professor Robert Grzywacz was among the scientists who helped confirm one of the newest elements on the periodic table: Tennessine, which pays homage to our state. 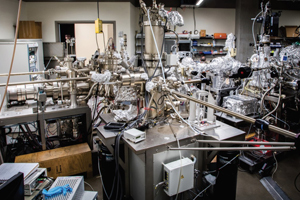 Our physicists built an on-campus, advanced ultrahigh vacuum facility for the synthesis of artificially structured quantum materials. 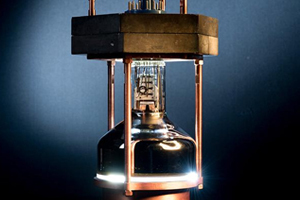 We also use research facilities at Oak Ridge National Laboratory, CERN, and Jefferson Lab, among others. Our faculty won have seven National Science Foundation CAREER grants in seven years: Steve Johnston and Jian Liu (both in 2019), Andrew Steiner and Lucas Platter (both in 2016), Haidong Zhou (2014), Jaan Mannik (2013), and Norman Mannella (2012). The department hosted the 2018 Southeastern Section of the American Physical Society (SESAPS) meeting. The objective of the Section is the advancement and diffusion of knowledge of physics within the Southeastern region of the United States, including the states of Alabama, Florida, Georgia, Kentucky, Louisiana, Mississippi, North Carolina, South Carolina, Tennessee, and Virginia, and the Commonwealth of Puerto Rico. 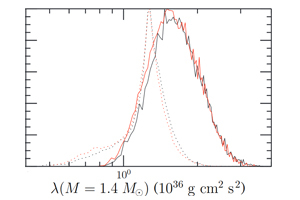 The Section brings together physicists once a year for a November meeting. 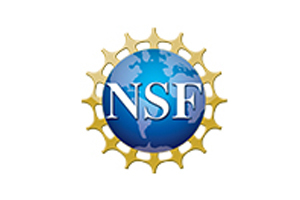 Professors Geoff Greene and Kate Jones are members of the Department of Energy/National Science Foundation Nuclear Science Advisory Committee (NSAC). Established in 1977, the NSAC provides advice and recommendations on scientific, technical, and programmatic issues relating to the nuclear physics program. Professor Michael Fitzsimmons began 2018 as vice president of the Materials Research Society, taking over as president in 2019 and past president in 2020. With a worldwide membership of more than 14,000, the MRS promotes communication and collaboration among researchers to advance interdisciplinary materials research and technology. UT physicists are directors or co-directors of four UT-Oak Ridge National Laboratory joint institutes: the Joint Institute for Advanced Materials (Hanno Weitering), the Joint Institute for Computational Sciences (Anthony Mezzacappa), the Joint Institute for Neutron Sciences (Alan Tennant), and the Joint Institute of Nuclear Physics and Applications (Robert Grzywacz). Our Saturday Morning Physics and Physics for Everyone programs offer non-technical lectures, especially for high school students and teachers. We have also started a QuarkNet outreach program at UT to tie area high schools and teachers to research at Fermilab. Physics Professor George Siopsis is the Director of UT’s Governor’s Schools for Sciences and Engineering, which serves the top high school students in Tennessee through a four-week non-credit program each summer. Our planetarium provides the lab setting for astronomy students and a powerful outreach tool for the department. Regularly-scheduled observation sessions on the roof of the physics building, along with special events, make our resources available to the public in an approachable, engaging fashion. Our Society of Physics Students is among the most successful in the country, having won outstanding chapter awards every year since 2012 and the national Blake Lilly Prize in 2015 for their outstanding outreach efforts, including work with area schools and for the campus and general public via physics demonstrations and the annual pumpkin drop.